Albert Einstein was born on the 14th of March 1879 and died on the 18th of April 1955. Born in Germany to a Jewish family, Einstein made many contributions to the field of theoretical physics. Even when very young, Einstein showed great ability in both math’s and science. He was naturally curious and had a brilliant analytical mind. Einstein worked in a patent office evaluating patents for electromagnetic devices not long after he graduated. He produced perhaps one of the most famous equations ever: E = mc² (energy equals mass multiplied by the speed of light squared). He is also well known for his theory of relativity. Special relativity being introduced in his 1905 paper “On the Electrodynamics of Moving Bodies” before Einstein developed the theory of general relativity between the years of 1907 and 1915. Adolf Hitler came to power when Albert Einstein was on way to the United States of America in 1933. He did not return back to Germany despite working as a professor at the Berlin Academy of Sciences. During World War II, Einstein alerted President Franklin D. Roosevelt Germany might be developing an atomic weapon. Einstein published more than 300 scientific papers along with over 150 non-scientific works. His mass energy equivalence formula E = mc2 is considered the "the world's most famous equation". He won the 1921 Nobel Prize for Physics for his work on solar energy and photovoltaics. He actually received the award in year 1922. 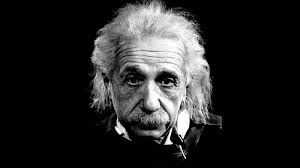 Much of the money earned by Einstein by way of Nobel Prize was lost in the Great Depression. Einstein visited New York City for the first time on 2 April 1921 upon the invitation of the Mayor. Einstein visited Palestine for 12 days in what would become his only visit to that region. Einstein became an American Citizen in 1940. During the Autopsy, the pathologist of Princeton Hospital, Thomas Stoltz Harvey, removed Einstein's Brain for preservation, without the permission of his family, in hope that the neuroscience of the future would be able to discover what made Einstein so intelligent. The chemical element 99, Einsteinium, was named for him in August 1955, four months after Einstein's death. An internal bleeding caused by the rupture of an abdominal aortic aneurysm on April 17, 1955 is believed to be the cause of his death. Einstein refused surgery and died the next day having worked till the end. His remains were cremated and his ashes were scattered at an undisclosed location.